Thank you for this encouraging response. I’m a senior and using the TracFone service for years without a smartphone has resulted in several thousand minutes accumulated. I’ve read that minutes auto xfr to data usage so I’m assuming that if I use smartphone fearures mostly on wifi, the banked minutes should allow for a seamless transition with no change to my annual subscription renewals. Also, I live in the 95xxx zip code area and curious if the network used by TracFone is suitable for smartphone services. Also, any advice as to how/where and which iPhone 7plus to purchase. Thank you again for your assistance. Why is the iPhone 6 the latest model that can be transferred to the TracFone service? I’m currently using the tracphone service without a smartphone. I would like to purchase a new iPhone, possibly the iPhone 8 when available, and transfer my existing TracFone service to the new iPhone. So, guess I need to understand what the reason is that newer iPhones cannot be transferred to the TracFone service. Is it conceivable that this will eventually be possible? Please advise. Thank you. In my video below, I try to answer your questions. 1. Can I use the latest model iPhone with Tracfone? Yes. The latest model iPhone is the iPhone 7 and iPhone 7 Plus. iPhone 7 will work with Tracfone, I wrote my previous reader response before the iPhone 7 shipped so it an old article so I only mentioned the iPhone 6. 2. Can I transfer my number and minutes from a basic phone to an iPhone. Can I use the thousands of minutes for data? You can transfer your phone number and service balance from your basic phone to a smartphone like iPhone 7. You’ll be able to use those minutes for talk, but I’m not sure about using them for data. 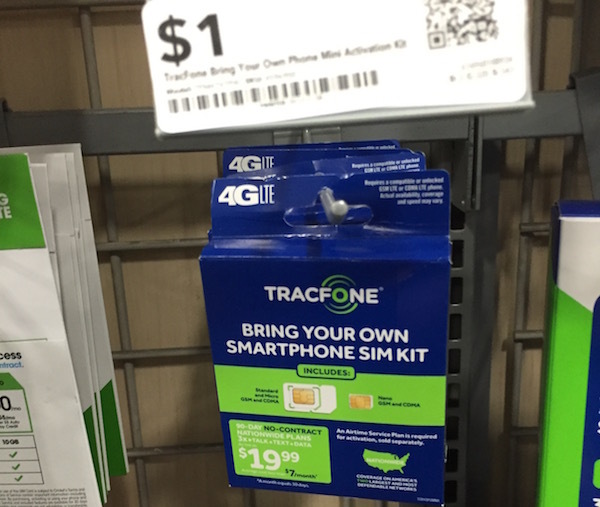 Tracfone has different plans for basic phones and smartphones. With basic phones, you buy minutes and use those minuted for talk, text, and data. Each minute of talk counts as a minute. Each text message and MB of data counts as either a minute or fraction of one. With smartphones, the plans are different. When you buy a plan it includes separate balances for minutes, texts, and data. If your minutes only transfer for talk, you can still buy additional data for $10 per GB and 1000 texts for $5. And data and texts will remain on your account until you use them as long as your account remains active. I think the data is reasonably priced and since you said you mostly rely on Wi-Fi a GB of dta should last you a long time. 3. If I want the iPhone 7 or iPhone 7 Plus, which model should I buy? If you want to buy a new iPhone I recommend choosing the SIM-Free model from the Apple store. That phone doesn’t come with a carrier contract and it is compatible with both the AT&T or Verizon network that Tracfone uses. 4. Should I buy an iPhone 7 now or wait for a new model? It’s almost June and new iPhone models usually come out in September. If Apple does what they have done in the past, they will update the iPhone 7 models with the iPhone 7s. The phone would look the same but have improved specs. Currently, there are many rumors that Apple release a completed redesigned iPhone in September, perhaps the iPhone 8. While no one knows for sure what Apple will release in September, if it were me, I’d wait and see. One thing I’d point out is that while Apple usually ships new iPhone models in September, they usually do not release the SIM-free models right away. Last year, they released the SIM free iPhone 7 is October several weeks later. My guess is that they don’t release the SIM-free iPhone immediately as the phones are in short supply and they prioritize them for their carrier partners first. Check out my video response below and feel free to reply here. Thanks Bob I really enjoy both your posts and videos on YouTube. Very helpful to see what the best deals are on plans. I’m currently on Tracfone’s AT&T network and I find it’s very snappy in my area (upper peninsula of Michigan.) I’m relatively new to the smartphone game, and needed a cheap plan for starters. I’ll probably stay with Tracfone, and it’s very possible I will find myself upgrading from my Android to a new iPhone soon so this post in particular was nice. I can’t believe you are so dedicated to your channel and the website, so I just wanted to let you know your efforts do not go unnoticed or unappreciated!! Thank you Sam I appreciate your comments. It takes a bit of effort to maintain this all so it is nice to hear some positive comments from readers.